We have new student ambassadors but still need Ambassadors for Wellington - you also get complementary registration to the conference by helping out. 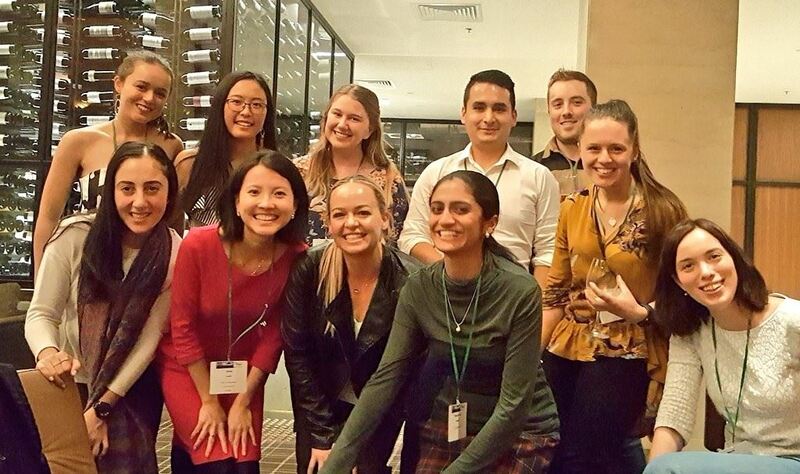 The student ambassador teams have continued to organise more ASSBI student events throughout the year around Australia and New Zealand! You can read more about the events with photos below. That's all the events for 2018, keep an eye-out for events being hosted by ASSBI student teams in your region via this page and ASSBI social media pages in 2019! 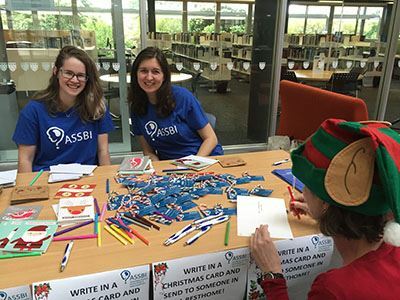 Team Auckland’s second and final ASSBI event for 2018 was held alongside a University of Auckland campus Christmas function. 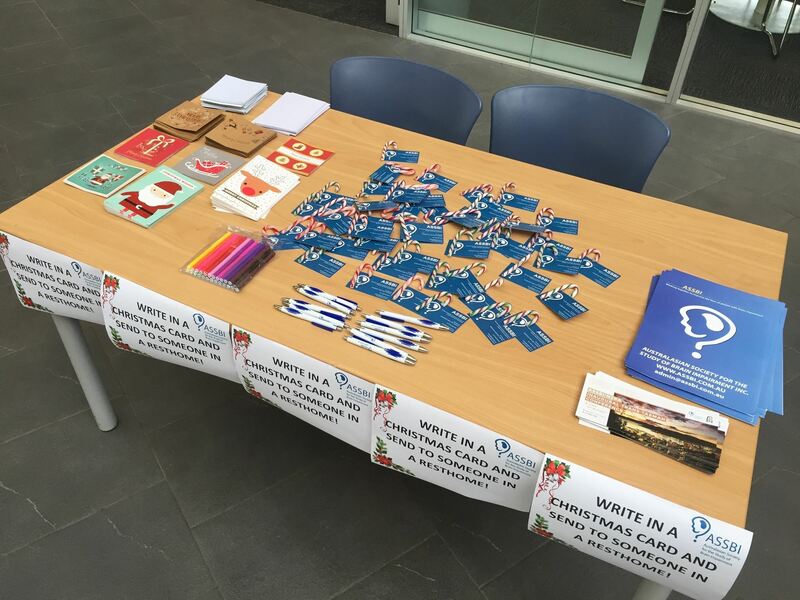 Attendees were encouraged to write in Christmas cards for donation to local nursing/ rest homes, as well as take an ASSBI card with a candy cane. While spreading Christmas cheer and learning about ASSBI, we received lots of positive feedback, beaming smiles and 80 completed Christmas cards. The Tasmanian Chapter Team Tasmania is a relatively new division of ASSBI, and events organised this year have focussed on raising awareness accordingly. Ben recently presented at an evening designed to bring attention to the various pathways and options available for psychology students at UTAS. The event was well attended and it was the first introduction to ASSBI for the majority of students there. Noor distributed pamphlets and brochures in Launceston and Hobart campuses. Promotional materials primarily highlighted ASSBI’s multidisciplinary society and the upcoming ASSBI-NZRA Inaugural Trans-Tasman Conference. Note from ASSBI - The 2019 ASSBI Conference will be held in Wellington and ASSBI Student Ambassadors will get first chance at volunteering at the ASSBI/NZRA Conference - we do not have any students from Wellington yet. A successful student networking event was held at the Hilton Bar & Grill on the second night of the conference. Students enjoyed drinks and canapés (lots of it too! ), as well as the opportunity to network with students from other states, cities and disciplines. 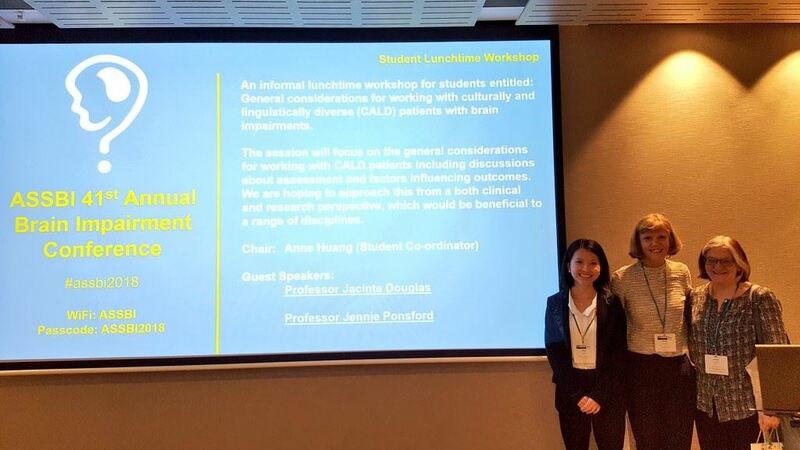 The topic for this 2018’s informal and interactive student lunchtime workshop was: general considerations for working with culturally and linguistically diverse (CALD) patients with brain impairments. Thank you so much to our esteemed speakers Professor Jacinta Douglas and Professor Jennie Ponsford for taking their time to speak with the student and non-student participants about assessments and factors influencing outcomes for CALD patients with brain impairments. The session involved talks and discussions from both clinical and research perspectives, which were beneficial to a range of disciplines. Thank you so much also our participants for engaging in and contributing to the stimulating and interesting discussion during the workshop.